NRDC’s Pamela MacDougall and Vignesh Gowrishankar report on new energy storage research that indicates that using EVs for grid storage instead of stationary batteries could save electricity customers billions of dollars. Our clean energy future will require more energy storage to help ensure the lights stay on when the sun isn’t shining or the wind isn’t blowing. Your shiny new electric vehicle may also become an important type of battery for our power grid. New research shows that leveraging the storage potential in electric vehicles, instead of just investing in stand-alone stationary batteries, could save utility customers billions of dollars, while also encouraging drivers to ditch gasoline. A study recently published by researchers at the Lawrence Berkeley National Laboratory (LBNL) shows that the electric vehicles (EVs) expected in California in 2025 could be used to meet the majority of the Golden State’s energy storage mandate that calls for 1.3 gigawatts (GW) of battery capacity by 2024. In fact, EVs can accomplish this both reliably and at about one-tenth the cost of stationary energy storage approaches. This level of storage could power nearly one million average homes, at least for a short while. That EVs can be this valuable to the grid is a hugely significant finding. One third of California’s electricity already comes from renewable resources like wind and solar, and the state is on track to meet its goal of generating at least half of its electricity from renewable resources by 2030. And if California Senate Bill 100becomes law this year, the goal for 2045 would be for 100 percent of California’s electricity to come from renewable or zero-carbon sources. That’s great news for cleaning up our electricity supply, but increasing our reliance on variable resources like wind and solar generation necessitates overcoming a different set of challenges to manage the electrical grid. Thankfully, we already have proven ways to address these potential issues, including better weather forecasting, sharing power across broader geographical areas, and, most pertinent to this blog, the prudent use of stand-alone batteries and EV batteries. 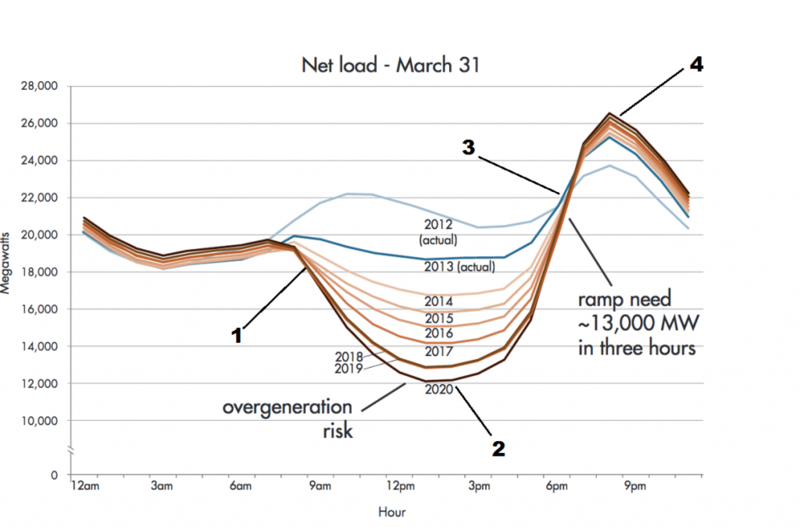 In California, the graph of the current net load looks like a duck (really, take a look below! ), and similar curves may be expected in other sunny climates. But in other states or regions, depending on the nature of electricity demand (e.g., heavy industrial load rather than residential) and available renewable resources (e.g., steady overnight wind rather than midday sun), the net load graph may look quite different. Nonetheless, the concepts described below are broadly applicable. The “lower belly”: The morning sun results in a sharp increase in renewable generation. This indicates that either demand needs to be increased or non-renewable power needs to ramp down to maintain balance between overall power demand and supply. The “belly of the duck”: The strong midday sun generates enormous amounts of solar power. This coupled with a limited ability to turn off other large generators preparing for afternoon peaks could create a midday surplus of power. Historical levels of load would likely prove insufficient on particularly bright days, creating a risk of overgeneration and requiring curtailment of inexpensive renewable generators. A promising approach during these times would be to further increase electric load to better match solar availability. The “neck of the duck”: As people return home from work and turn on their lights, TVs and other appliances and devices, there is a sharp increase in electricity demand. Around the same time the sun begins to set (and even if there is some wind, in California it may not be quite enough). All told, the net load rises quickly, indicating that either non-renewables generation needs to pick up or load needs to be shifted. The “head of the duck”: As everyone is home from work, the demand for electricity is high even as the sun has set. This implies either the need for lots of non-renewable power or stored electricity or to shift loads perhaps into the middle of the night. Storing electricity for later use can help immensely on all these fronts. For instance, batteries can be charged in the middle of the day (i.e., filling the belly of the duck) to avoid overgeneration. Using batteries to fill in the belly of the duck also flattens the profile, with the implication that both the extent and the rate of ramping of non-renewable generation as demand picks up or drops off can be reduced. And at other times of the day the batteries can provide power to satisfy the load – in other words, batteries can help with the head, neck and lower belly. Recognizing the value of storage to meet its renewable goals, California recently established a mandate to install 1.3 GW of energy storage by 2024. Its focus is on stationary storage rather than the batteries in EVs. As context, California also has an ambitious goal to add more EVs to its roads: to achieve the state’s Zero Emissions Vehicle (ZEV) target, California projects 1.5 million EVs by 2025 – and that doesn’t include the thousands of heavy-duty vehicles such as buses and trucks being electrified today. The study by LBNL shows that “smart charging” of EVs – modulating when and at what rate the EVs are charged – could help California meet its energy storage procurement goals at a significantly lower cost than if we just buy single-purpose, stationary batteries. EV smart charging can be enabled via proper communication with the power grid, having the vehicles charge when renewable energy generation peaks or when there is subdued demand for electricity (e.g., when people are sleeping). In practice, this can be done in ways that do not hamper the use of the EV for its primary purpose, as a vehicle. 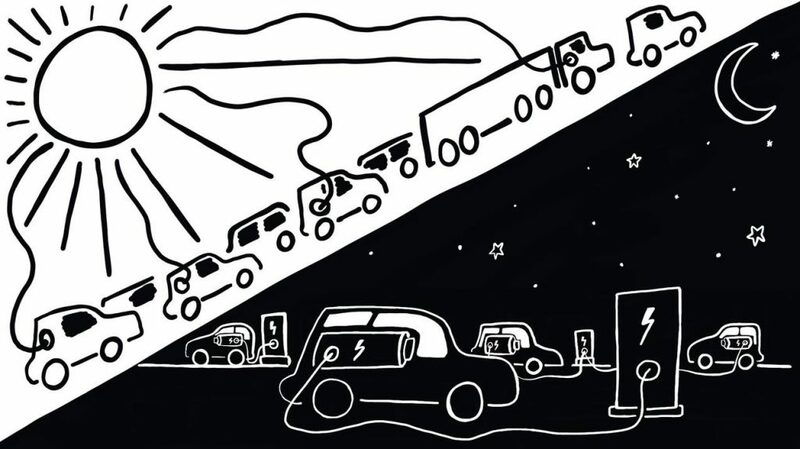 As a simple example, an EV can be charged in the middle of the night when there is ample, inexpensive wind power and less demand for electricity in general. Smart charging is sometimes known as “V1G” – let’s chalk up that terminology to industry geekiness. EVs can also conceivably supply power back to the grid from their batteries. The industry geeks have (somewhat more intuitively) termed this “V2G”, short for “vehicle to grid.” V2G has been deployed in many places across Europe, but the state of play in the U.S. is a few years behind, although there are numerous ongoing pilots. One concern has been that drawing on EV batteries may degrade them. 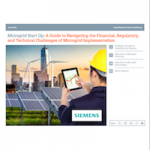 But, done right, the amount of draw can be minimized, and with the right market structures in place, the value from providing grid services could far outweigh the cost of battery degradation. All told, the important thing to note is that V2G is entirely possible. Without hindering drivers’ transportation needs, smart charging or V1G can easily provide 1 GW of storage, or about three-quarters of the 2024 storage mandate. V1G and V2G combined can offer an astounding 5 GW of storage, dwarfing the storage mandate, and enabling the integration of much higher quantities of renewable energy. Using a similar approach, the value of grid services associated with V2G in addressing the “duck curve” is equivalent to $12.8 to $15.4 billion in equivalent stationary storage. So, there you have it. EVs can not only help integrate renewables, they can do so at a lower cost. And if we tap the full capabilities of EVs (i.e., V1G and V2G), they can help integrate enormous quantities of renewable energy into our power system. Finally, the value associated with EV-enabled grid integration, either by way of savings compared to stationary storage or via an appropriate monetization of grid services, can go a long way toward promoting EV uptake and/or investing in other grid modernization needs to enable more renewables. In light of this, California going forward should recognize the enormous benefits of leveraging EVs as a grid resource in its considerations of storage needs, and actively explore how to realize the full potential of both V1G and V2G. Likewise, other states should make note of the incredible… shall we say “energy synergy”… between EVs and renewables. Really, what’s not to like about EVs? Pamela MacDougall is a science fellow at NRDC; Vignesh Gowrishankar is the director of NRDC’s energy and transportation program. This article originated on NRDC’s blog and was reposted with permission. Can Utilities Rate Base Energy Storage as a Distribution Asset?